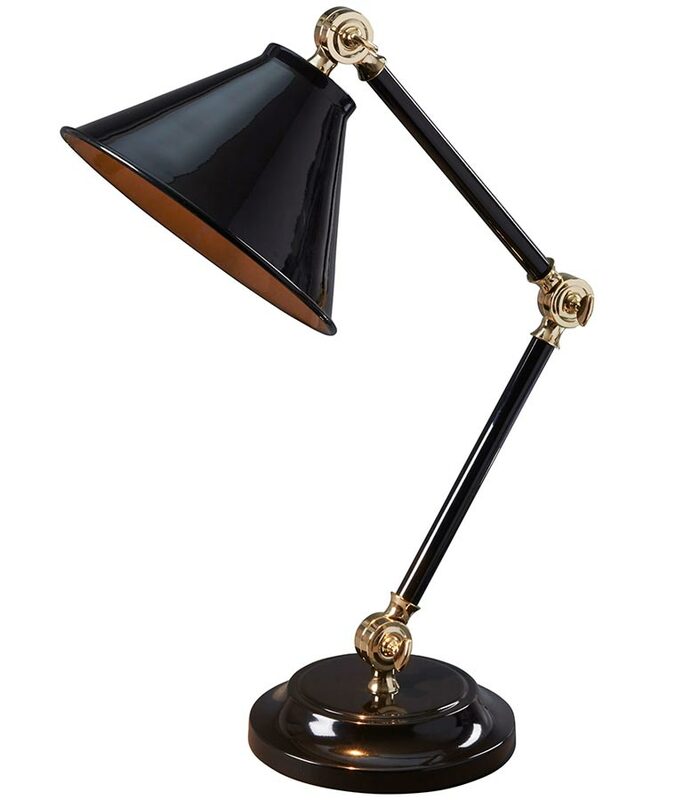 The Elstead Provence Element mini desk or table lamp in gloss black finish with polished brass accents features classic design and adjustable stem. Circular base and stem that’s hinged in three places so you can direct the light just where you need it. Each polished brass finish hinge can be locked in place by thumb screws and the conical shade ensures that the light is directed to assist in reading or any other tasks. The Provence Element mini table lamp is also available finished in white or dark grey, please see below. This stylish table light is supplied by Elstead Lighting, a British company that specialise in the manufacture and distribution of quality decorative lighting such as the Provence Element mini desk or table lamp in gloss black finish with polished brass accents you see here. When it comes to lighting up your work environment it is important to get the right lamp for your desk, and we have a fine selection of lighting suitable for desks right here. With everything from adjustable desk lamps to clip on spots, you’ll be spoilt for choice.